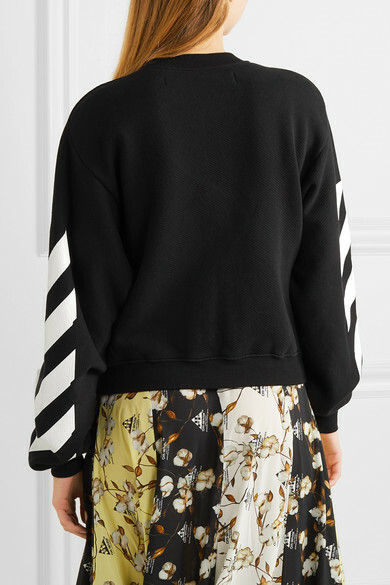 One look at this sweatshirt and there's no mistaking that it's the work of Off-White's Virgil Abloh - those diagonal stripes are his calling card. 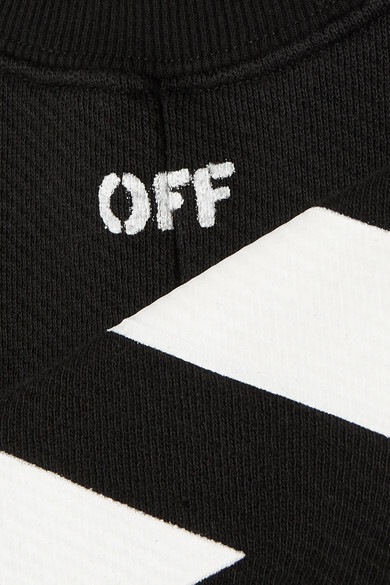 This piece is made from breathable loopback cotton-blend jersey and framed by neatly ribbed trims. It's slightly cropped, so it looks cool layered over dresses. 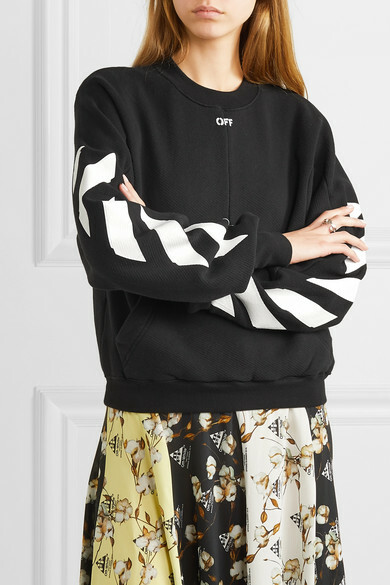 Shown here with: Off-White Dress, Alexander Wang Belt bag, Off-White Ankle boots, Jennifer Fisher Ring.